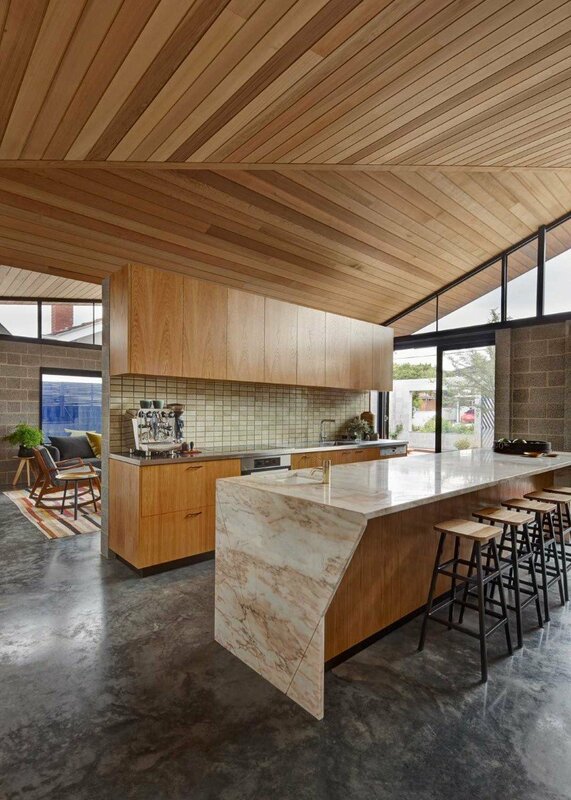 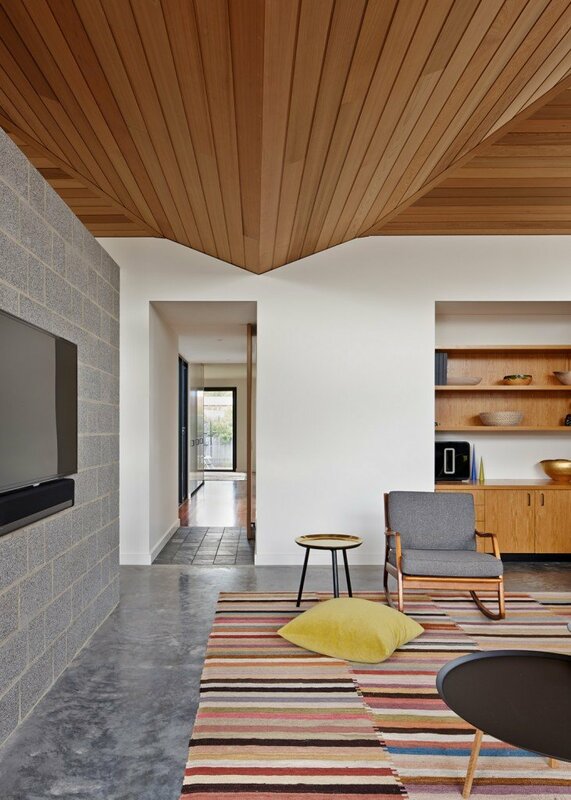 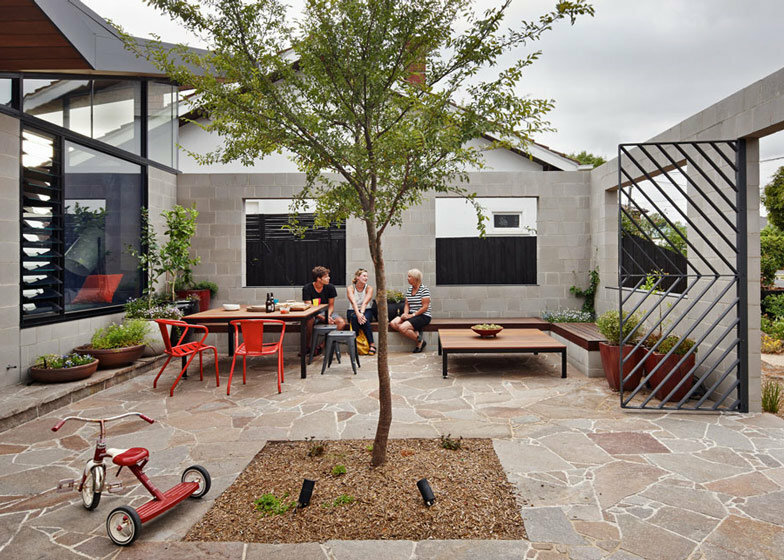 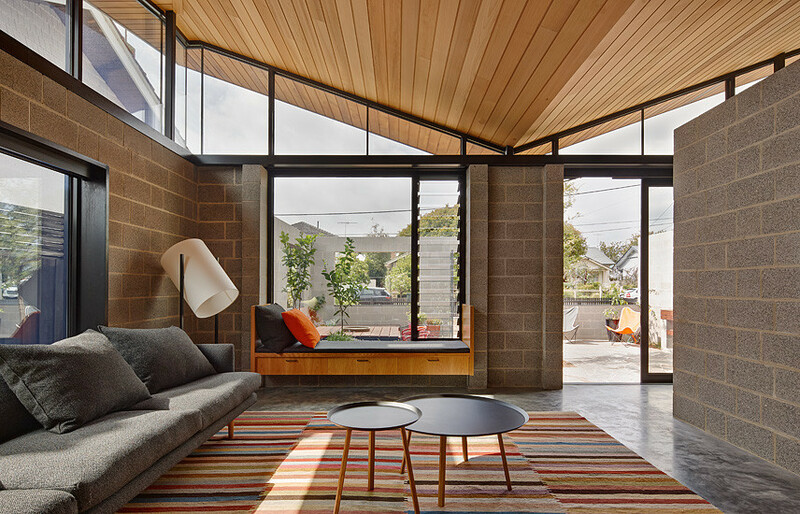 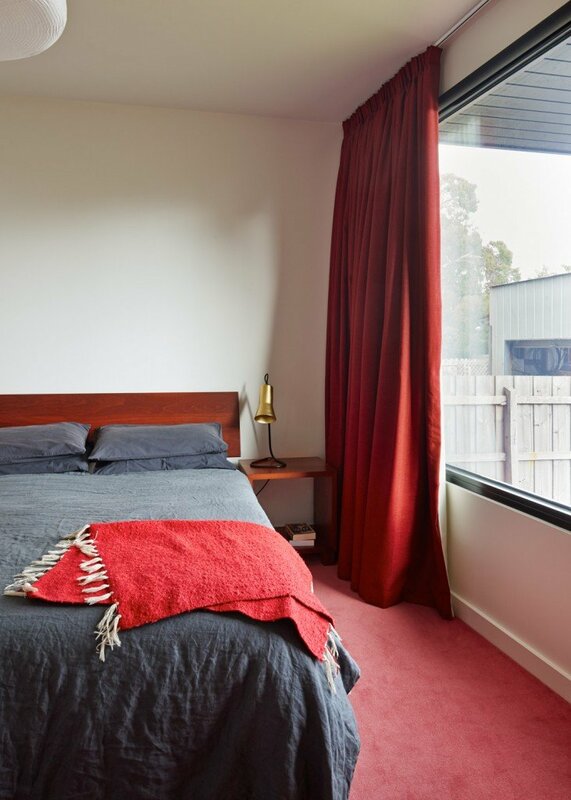 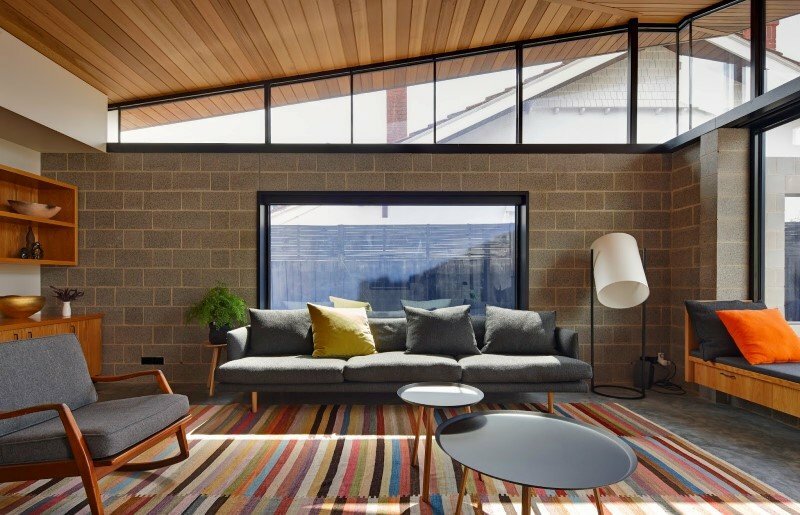 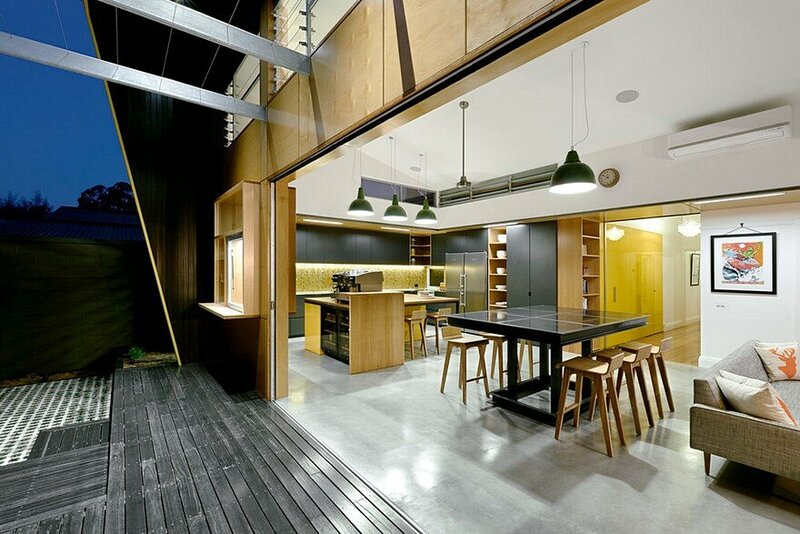 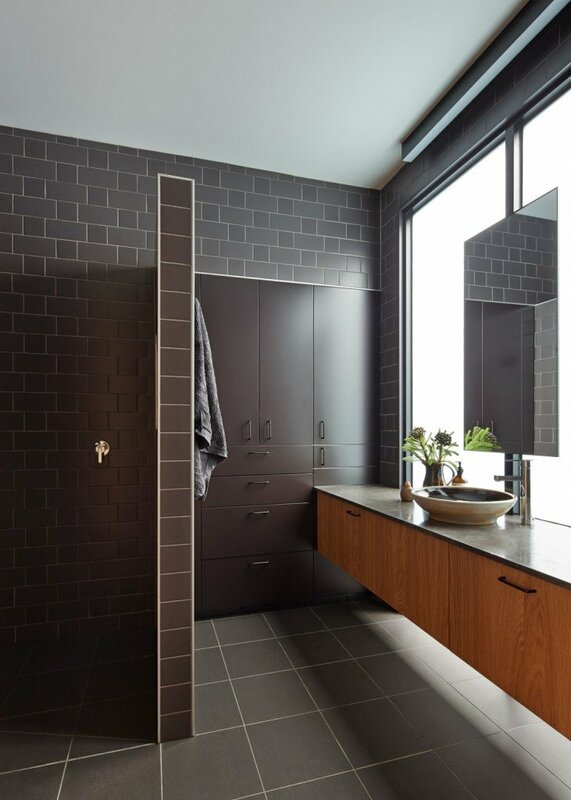 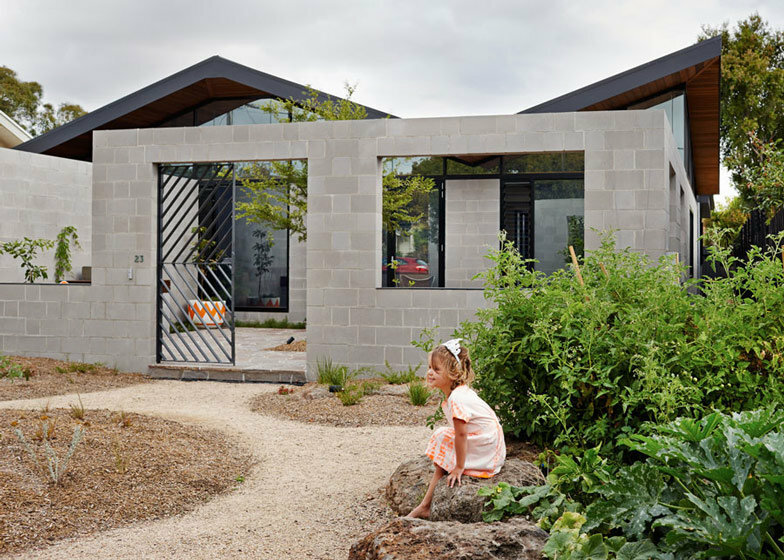 Located in suburban Melbourne, Fairfield Hacienda is a one-storey house designed by MRTN Architects. 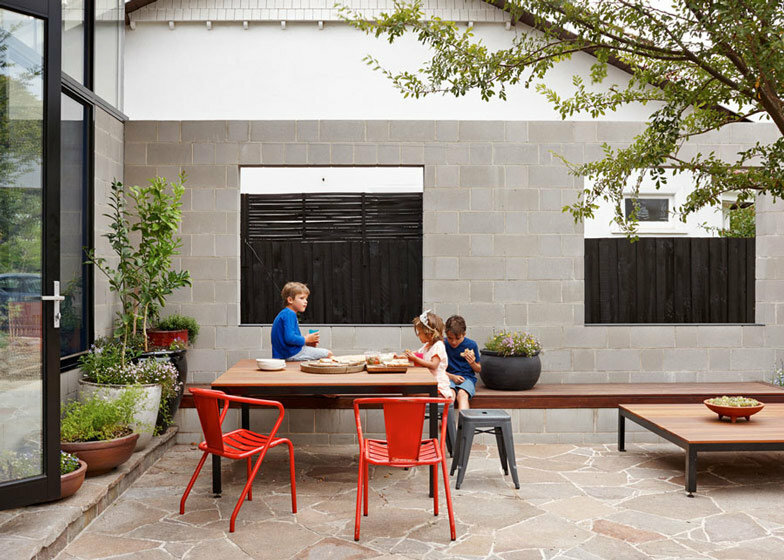 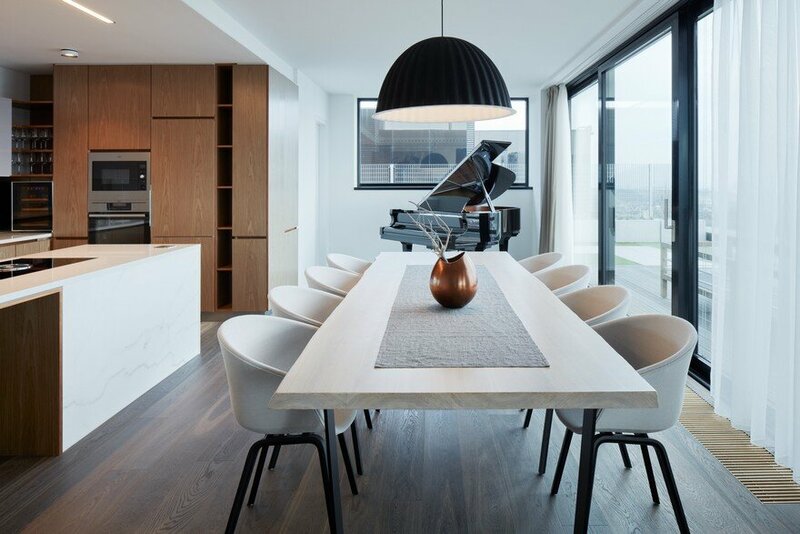 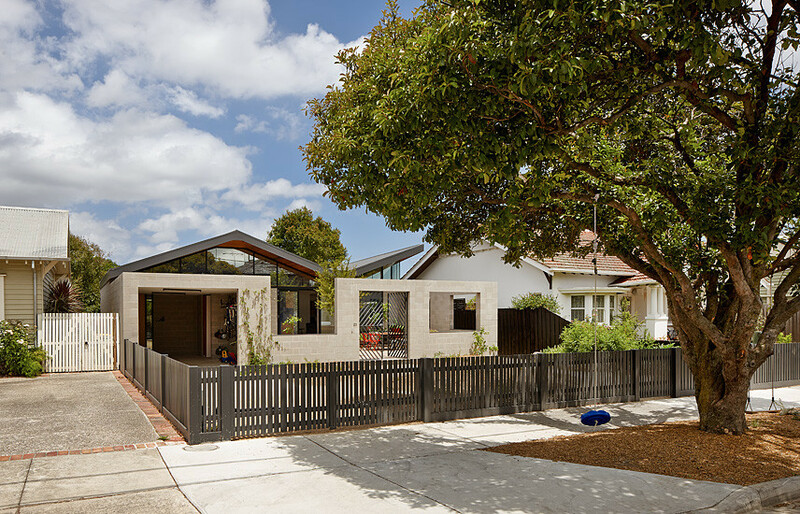 Description by MRTN Architects: On the fringe of Melbourne’s inner suburbs, this new family home sits in an established residential street of Victorian villas and Californian bungalows. 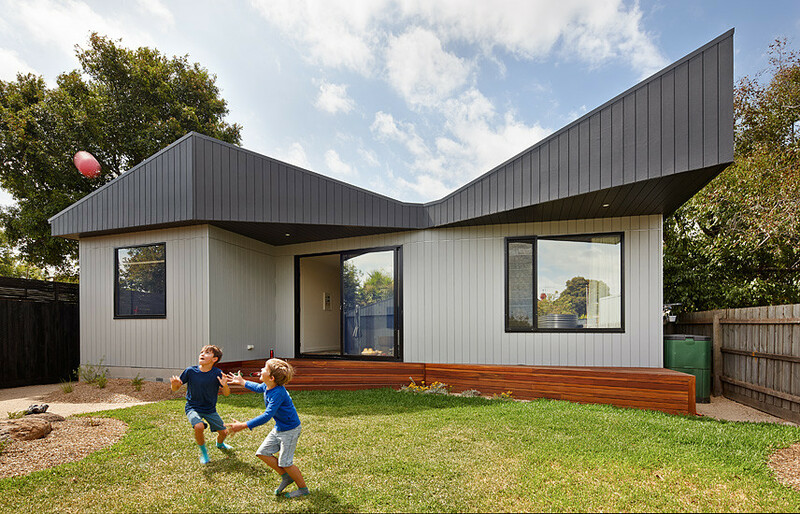 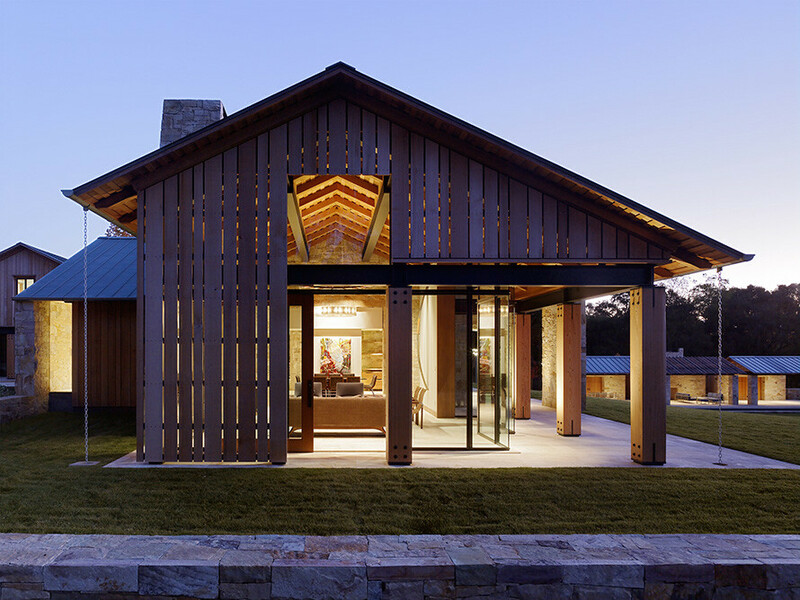 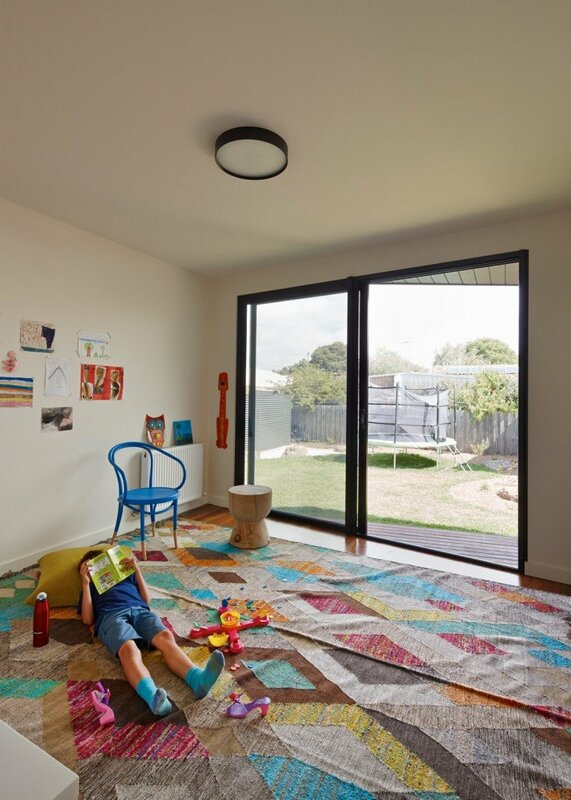 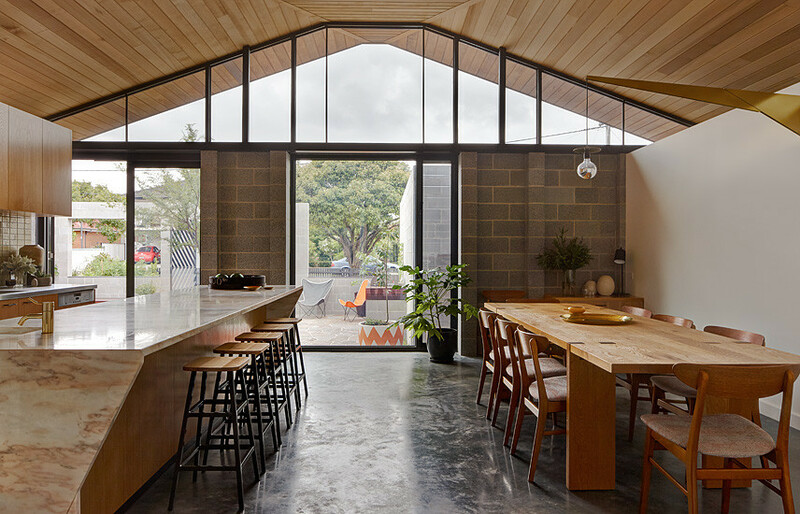 From the footpath, the Fairfield Hacienda with its angled roof fits into the landscape of single-level homes, effortlessly picking up the street’s original pattern of hipped and gabled roof forms. 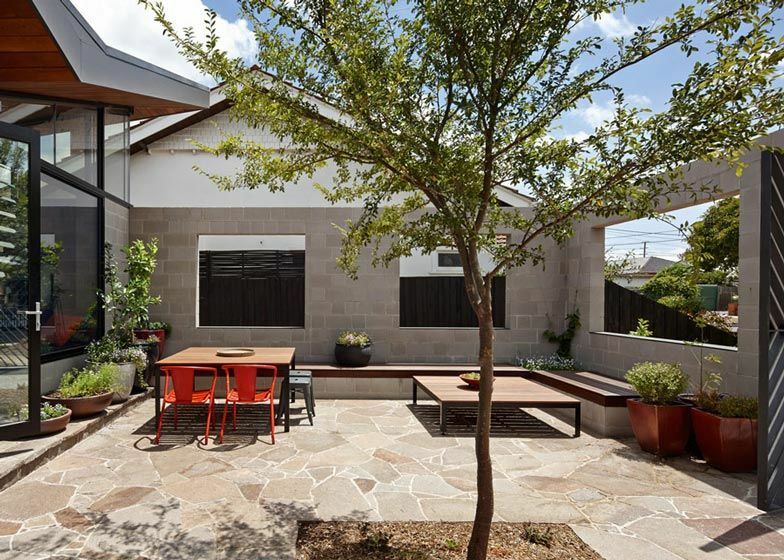 A closer look however, reveals that this new house sits unusually behind a sunny, walled courtyard. 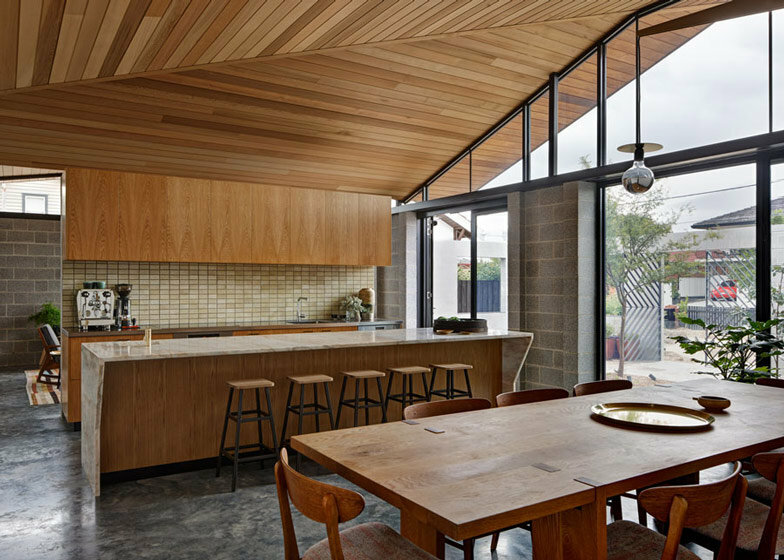 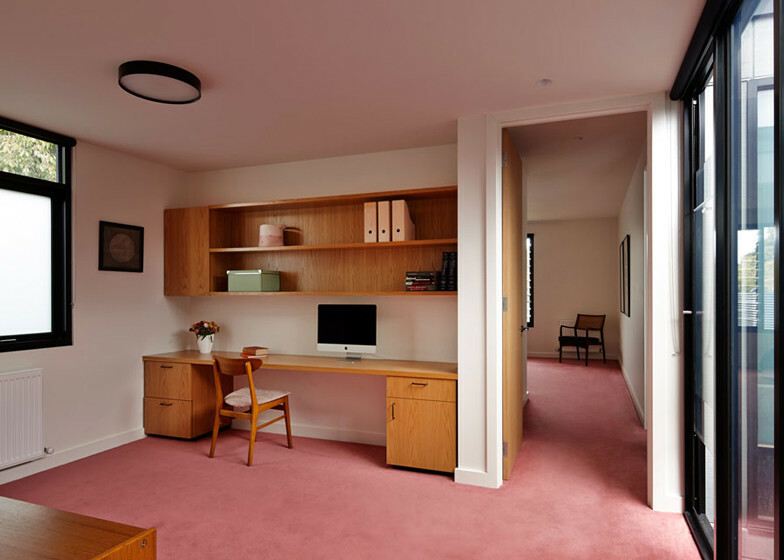 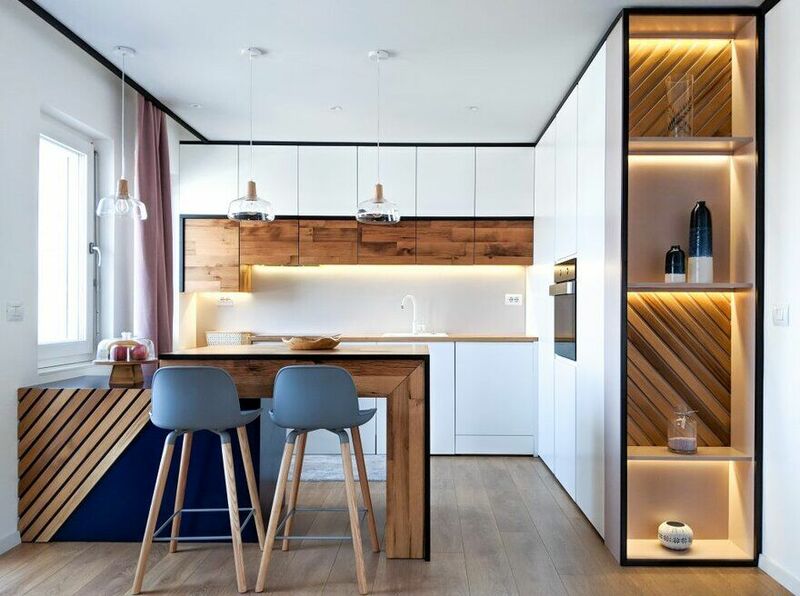 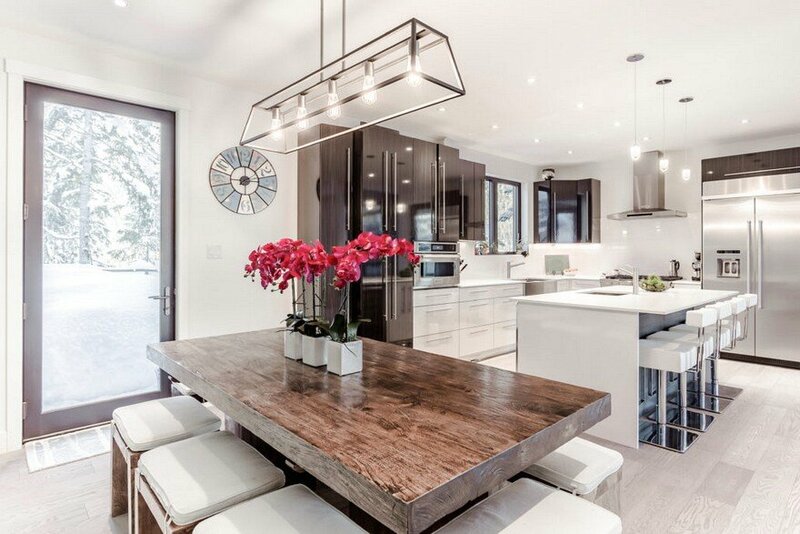 This room without a roof, except for a sheltering courtyard tree, is an extension of the living and dining spaces that open onto it.